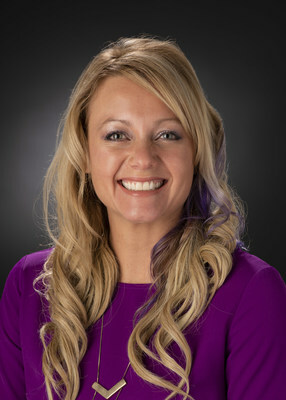 BROOMFIELD, Colo., April 4, 2019 /PRNewswire/ -- Amber Paterno, lead spacecraft assembly engineer at Ball's aerospace business, will receive the Science, Technology, Engineering and Production (STEP) Ahead Women in Manufacturing Award on April 11, 2019, in Washington, D.C. The seventh annual STEP Ahead Awards celebrate women in the manufacturing industry who make a difference through advocacy, mentorship, engagement, promotion and leadership. The awards are part of a larger STEP Ahead initiative designed to attract, develop, advance and retain highly capable female talent. Paterno leads spacecraft development for Ball. In this role she coordinates and organizes a team that includes mechanical, systems, safety, materials and processing, thermal and electrical engineering, manufacturing and supply chain management, quality control, and interfacing with external partners and customer representatives. She has been with Ball Aerospace for 13 years. "Amber is a true example of leadership at Ball," said Mike Gazarik, vice president, Engineering, Ball Aerospace. "She takes on challenging projects and manages them in a way that addresses the details while also strategically planning for success." Paterno holds an M.S. in Engineering Management from the University of Colorado at Boulder and a B.S. in Industrial Technology Management from Colorado State University. Prior assignments at Ball include manufacturing and project engineering, program management and a product center manufacturing lead role. Before joining Ball, Paterno worked for Lockheed Martin. Paterno has extensive community volunteer experience, which included a year in Madrid, Spain teaching English as well as woman empowerment programs in Louisville, Colorado. In addition to Paterno, the STEP event will recognize 130 recipients in D.C., highlighting each honoree's story, including their leadership and accomplishments in manufacturing.